There are no such things as saviors. But there are such things as criminals, and the monstrous ones belong somewhere worse than hell. Within a broken empire, gears whisper secrets as magic tears through bone and soul. An empire in which rulers reside behind their walls, dance in gold and dress in silver, turning their eyes from the bloodshed of war. The prison is their creation, and they call it the Revium, a home for the most awful criminals and the shrieking insane. It slaughters the innocent. And it holds no mercy for the blamed. It survives to control their shattered world, born from the ridiculous wishes of locking away all they might fear. 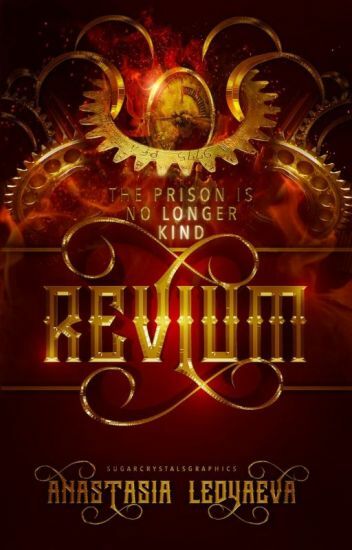 The Revium is made to fulfill their hopes, to submit to the crown, to obey its every command. And yet the prison is no longer kind. *Weekly updates* Fire. Ash. Darkness. Foes rise up on either side of the Paragon as it all comes to an end. Cover art and written work by Azi. Please note: violence, sexual themes, and coarse language will appear in Prodigal. Verana was almost kidnapped as a child, but the only reason she wasn't taken was that of a little human boy. . . a little boy she's all but forgotten. Now, being the Volucris princess that she is, Verana has duties to care for and expectations to meet. But, years later, Verana gets kidnapped and taken to the human world, all to find that her world will be destroyed if she doesn't step out of her comfort zone. Choices are to be made, one of the things that Verana has always had a hard time with. A story about how to stand on your own, self-sacrifice, and how to be brave enough to take action in the hardest times. Zora was only a little girl when her mother raked out her left eye. A mauled princess, she is alive only because of her political marriage potential. In a world where misogyny reigns, there is little she can do about her situation. When Zora comes of age, she decides to take matters into her own hands, and plots the murders of her father and his proclaimed heir. Jurauk likes to eat people. His favorite part is the neck. Sadly, humans are getting a little scarce. Being the second heir of the mythical race of Nefari, it's his job to find the tastiest morsel and bring it back home on a silver platter. His only problem? His intended prey is willing to put up a hell of a battle. Once Etta Merrow was a murderous empress. Now she is dead. Centuries have passed since she reigned, and in those years a brutal coup has installed a line of tyrants to her throne. As the city she once ruled crumbles, Etta is stolen from the underworld and dropped into a world of bloody politics and desperate gods. Thus begins a journey to a magic city at the edge of the world where death and life intermingle in streets of bone and rivers of blood. Where joined by a prophetic playwright and an aspiring engineer, Etta might find one last chance at redemption, or destroy the world in the process. Once Adrian de Corvo was the revolutionary heir to Achera's throne. Now he's a disgrace. For centuries, the de Corvo line has been obsessed with death, a quest for immortality their only reprieve from the blood and suffering of their reigns. Haunted by the ghosts of a failed rebellion, Adrian sets all his sights on finding the city at the edge of the world, never mind the love he'll have to sacrifice in the process. But revolution is rising. Magic floods the streets and a war between gods reaches men. If the world is to survive, even Adrian de Corvo must learn to be a hero. an eclipsed prince with both sun and shadows on the palm of his hands. beware, the night king will come." Makaela didn't want to be apart of the prophecy. But when the immortal spirit of light and prophecies tells her she's destined to save the six realms, she can't exactly say no. Shortly after, she's forced to flee her home after her parents are murdered by dark magicians. Ten years later, she thought her supposed destiny would never come to fruition. That is until she starts having weird dreams about her parents' killers and their nefarious plan to collect all seven of the ancient Eldenarian Artifacts. When her home is attacked by a group of Shades, magicians a part of the Order of the Black Lotus, she is saved by an unlikely hero and embarks on a mission to gain more information on the Order's plans and the fabled prophecy. Along the way, she meets new and old friends. However, as she delves deeper into her quest, she learns things about the prophecy, her parents, and, most importantly, herself. The Free Tribes, a throng of powerful beasts, clans, and small villages have encircled Caastigen, the capital of Sindara. At the beginning of this unnatural war, five strangers awake in an alley with no visual memories and a splintered collection of knowledge: Alisandra, a musically-talented half-elf, Sir Calvorn, a wretched knight clinging to his honor, Bromli, a dwarf caught up in his own viewpoint and contraptions, and Vadik a half-orc hell-bent on dolling out justice. A secretive elf named Tyriel infers that greater forces are at work and asks for their help, so the group sets out to retrieve an ancient relic, the Trident of Fate, which contains the power to see the past, present, and future. This fragmented weapon may be the key to ending the war and returning their memories, but as their own pasts unfold, will they discover who they can trust, or will they collide and destroy each other before the real evil rises. Watties Long List and winner of 11 genre 1st places and special awards for Best Fight Scene, Best Female Character, Best Plot Twist, Wordsmith, and People's Choice. "It's either this or death." Caught in the act and bound by a strange magic, two thieves from opposing guilds must work together to complete the task set by the witch that cursed them. If they're to have any hope of stealing The Egr, a mysterious bestowal of divine rule, they'll need cunning, strength, and more than a speck of teamwork. Because, with half the kingdom out to see them fail, they are going to need all the luck the gods can spare. Awesome new cover by @shadednights. Special thanks to @ShannonTolhurst for helping with the blurb... or you know basically writing it for me cause I was going crazy. Thanks bud. A Grimdark Fantasy Novel of Epic proportions. In the North Mountains an ancient danger lurks, a powerful being set on destroying all Erdil, and only the Girl Child can defeat it. Emeline lives on a farm near the small town of Aysgarth in the North of Öldeim. Torn from her home by a mysterious warrior, she embarks on a journey which will force her to face her past and her destiny as the Girl Child, but in a world where dreams are real and Immortals from Gotteril play games with the Erdilers, this will be the hardest thing she ever does. © 2015 by Joy Cronjé. All rights reserved. No part of this book may be reproduced, distributed, or transmitted in any form or by any means, including photocopying, recording, or other electronic or mechanical methods, without the prior written permission of the author, except in the case of brief quotations embodied in critical reviews and certain other non-commercial uses permitted by copyright law.